MelanieTM Classic and DIGE are tools for scientists investigating biological processes by characterizing samples in terms of relative protein abundance and posttranslational modifications. They have been designed to detect statistically significant differences in protein expression between experimental groups, with high objectivity, sensitivity and confidence. MelanieTM Classic offers all the functionality you need to analyze experiments consisting of conventional 2-DE gels. MelanieTM DIGE additionally includes specific functionality for the analysis of DIGE gels so that you can fully exploit the advantages offered by multiplexing. MelanieTM guides you through the image analysis process with a step-by-step workflow, offering the functionality and information needed for the current task. With the control and validation tools dedicated to each analysis stage, you can feel confident that you accomplish the necessary steps and checks for the highest quality results. Check the quality and consistency of your images. Define the experimental design variables. Specify an alignment strategy to increase match efficiency, based on knowledge about your images. 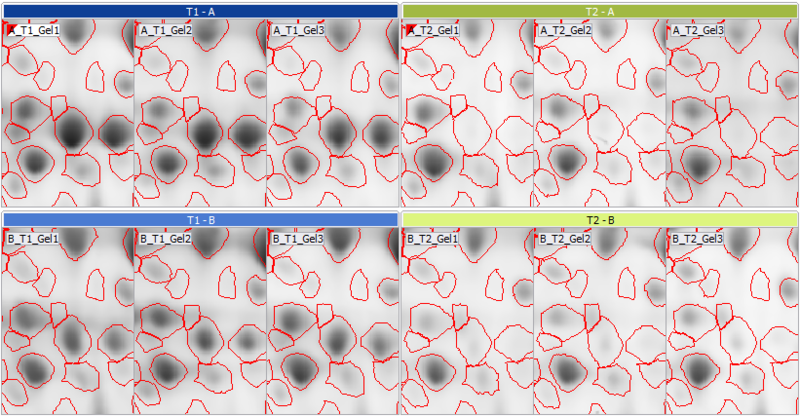 Align images to remove positional variation between gels. Detect and quantify spots on all images. Filter or edit spots, and review the normalization. Explore your results with dedicated tools and statistical tests adapted to your experimental design. Choose and export spots for picking. MelanieTM automatically controls the quality of your images so that you get the necessary feedback to optimize your image capture procedures. It also checks that all images in the data set have consistent characteristics such as size or intensity encoding. Potential issues are highlighted and information provided on how to solve them. This quality control step will save the time that would otherwise be required to analyze images with only limited potential to deliver relevant results. The proper design of an experiment is crucial to obtain relevant results from any 2-D gel electrophoresis study. 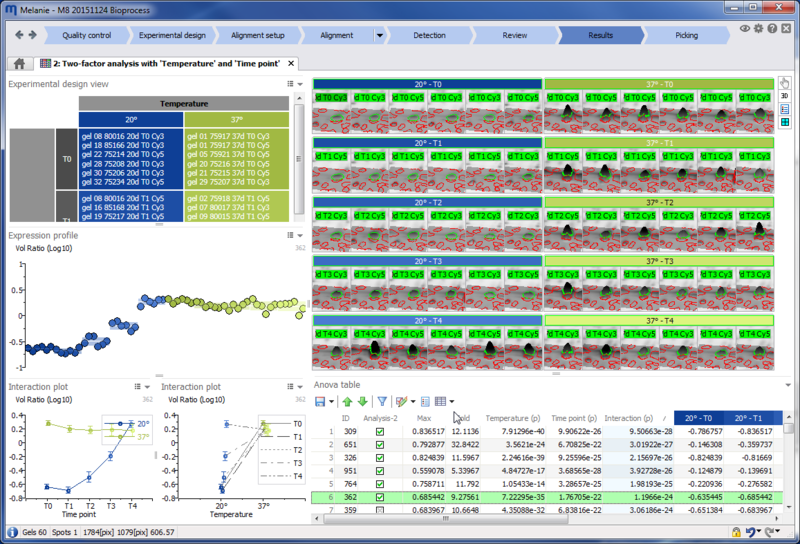 We believe you should be able to fully exploit your experimental design information at all stages of the analysis. 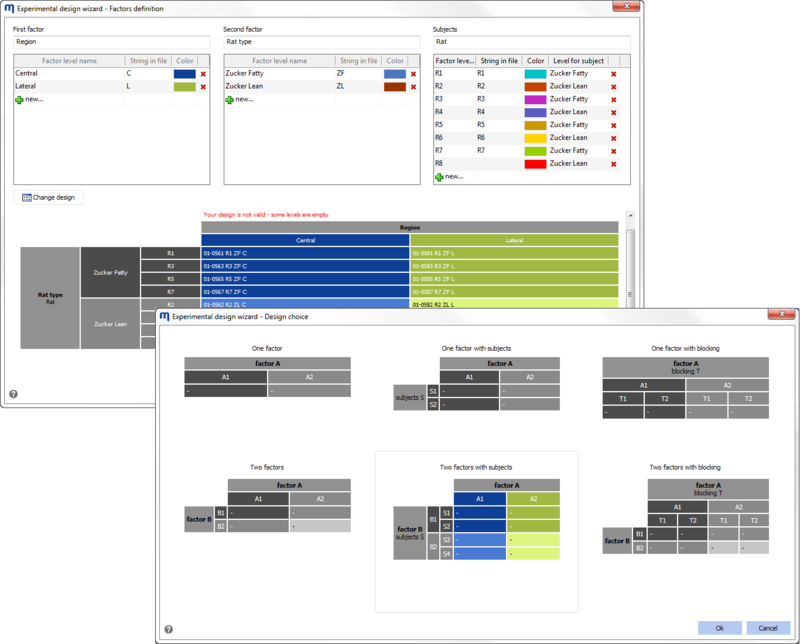 MelanieTM‘s experimental design wizard helps you describe common one- and two-factor designs and seamlessly assign images to the different factor levels. The experimental design structure is subsequently used throughout the analysis workflow to propose specific alignment strategies, image display layouts, and appropriate statistical tests and data analysis tools. Alignment is the most critical and time consuming step in the analysis. MelanieTM allows you to increase alignment efficiency and minimize match editing work by defining an appropriate alignment strategy. This avoids aligning all images to a single reference that may be quite dissimilar to many gels in the data set and would therefore generate an unnecessarily large number of difficult alignments. 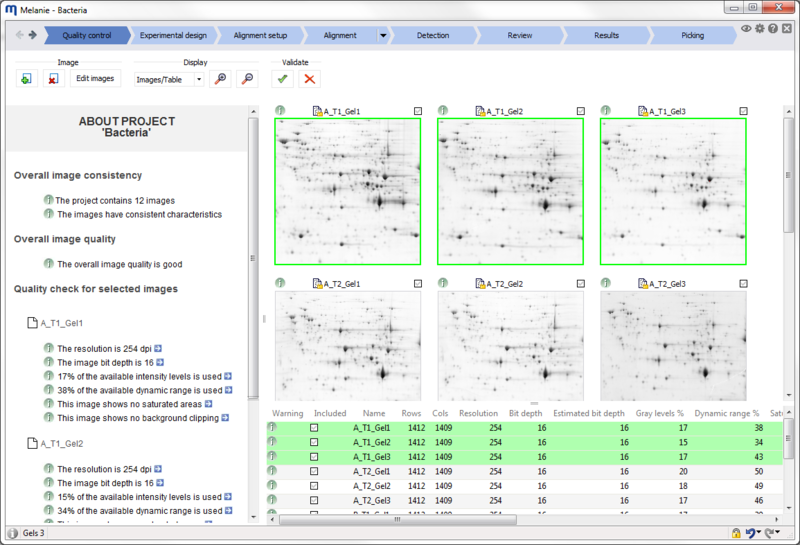 Once all images are aligned, MelanieTM detects spots on a fusion image and propagates the spot boundaries to all images in the experiment. As a result, you will have virtually identical spot patterns on every gel and 100% spot matching, without missing values in your statistical analysis. This process leads to highly reproducible, objective results that you can report with confidence. MelanieTM offers specific statistical support for the most common one- and two-factor experimental designs, including designs that comprise a subject or blocking factor. This feature is important, because a carefully designed experiment can still be wasted if subsequent statistical analysis does not take into account the structure of the data. By applying the appropriate model for the Analysis of Variance (ANOVA), your ability to detect true differences will improve considerably.